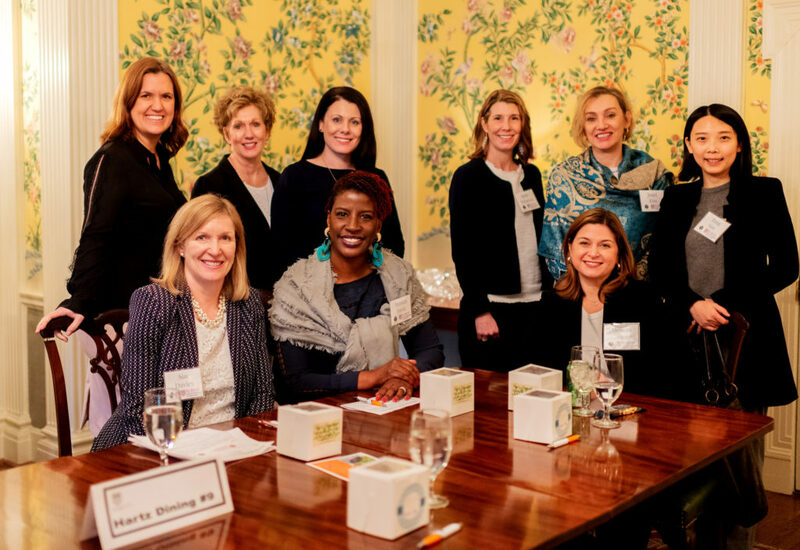 You could feel the electricity in the air as nearly 100 women executives and MBA students gathered for the second annual “Future-Proofing Your Career” event co-hosted by The Richmond MBA at the University of Richmond’s Robins School of Business and the Virginia Council of CEOs. 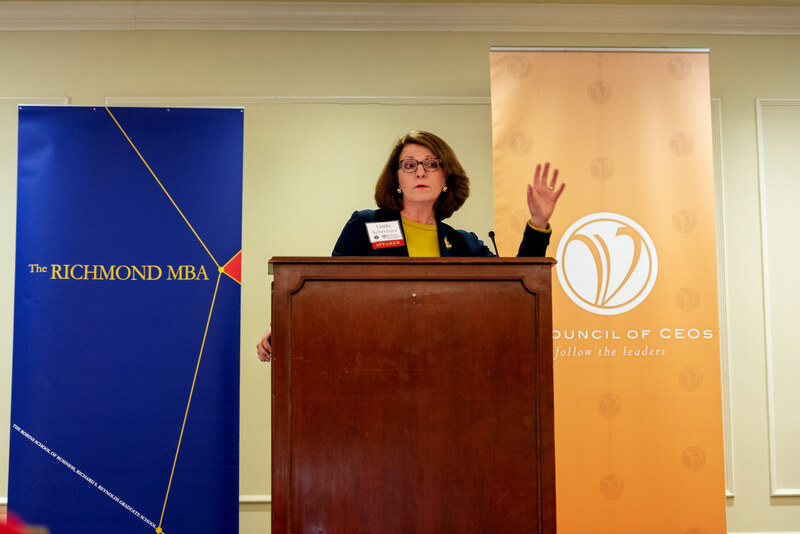 “The Importance of Mentoring” was the theme of this year’s event, and setting the tone for the afternoon was keynote Linda Schreiner, Senior Vice President of Strategic Management for Markel Corporation and former Senior Vice President at MeadWestvaco. 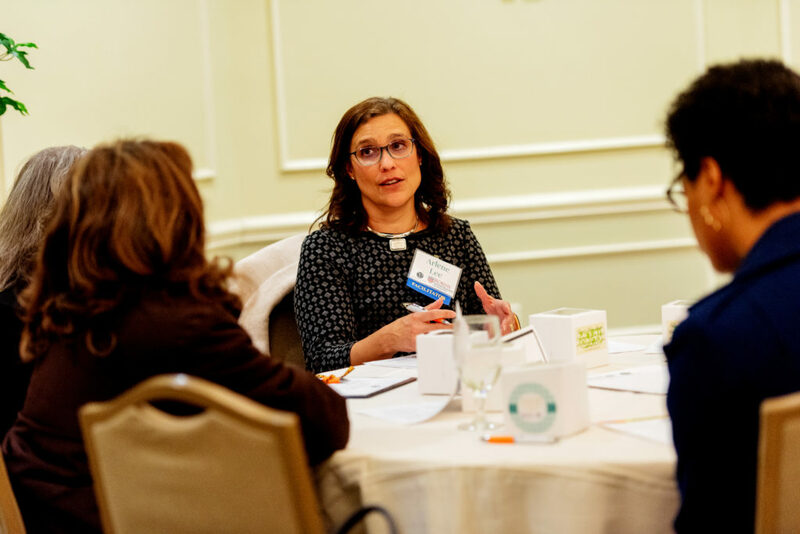 Her presentation was followed by peer roundtable sessions facilitated by several VACEOs Members and Sponsors. VACEOs Members, Sponsors, Former Members, and new friends attend event. Photo: Paige Stevens Photography. During her presentation, Schreiner discussed her experience in career counseling and as part of MeadWestvaco’s formal mentoring program, and answered questions participants submitted before the program began. She also talked about what happens when a mentorship isn’t a good fit, finding the right mentor, mentoring versus sponsoring, power and gender dynamics, and getting the most out of the relationship for mentors and mentees. All attendees participated in pre-arranged peer roundtables facilitated by VACEOs Members and Sponsors and other business leaders. As VACEOs members quickly learn, these kinds of sessions can be a powerful tool for testing new ideas, solving problems and learning from others who’ve had similar experiences. Learn more about roundtables. VACEOs Sponsor Danessa Knaupp (top left) with her roundtable. Photo: Paige Stevens Photography. Michele Rhudy, President, Rhudy & Co.